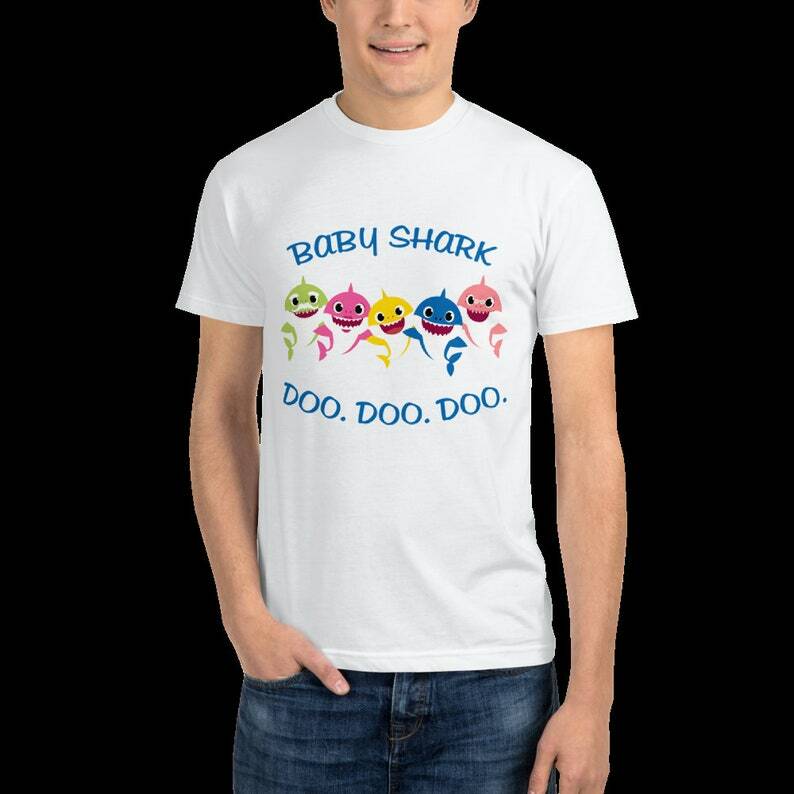 Baby Shark Doo Doo Doo unisex shirt is made from organic cotton and recycled poly rPET blend that makes the fabric more durable and heavyweight. Each shirt saves at least 4 plastic bottles from ending up in a landfill. It’s the perfect choice for someone looking for casual yet sustainable apparel. All measurements are approximations. Shirts may be within 1" of the dimensions listed. The shirts were measured laying on a flat surface side to side and top to bottom. This is a Unisex sized shirt. Please refer to the size chart for measurements. Order your normal size (in men's) for a casual and looser fit. If you are not sure about sizing please measure your favorite t-shirt and compare measurements to the chart for the best fit for you.